Exciting NEWS from Lifestyle Holidays Vacation Club for Members and their Friends and Family! 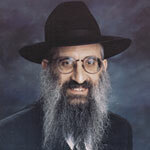 Once again LHVC blazes new trails by providing Members with a new kosher vacation option! LHVC has been honored with the distinction of receiving the prestigious OK Kosher Certification, one of the most respected global symbols of kosher approval in an era of soaring demand for kosher food. This investment and addition was done in order to provide a Lifestyle Vacation experience for both Members and guests who keep Kosher. Established in 1935, the OK Kosher Certification is one of the world’s most respected symbols of kosher approval. Lifestyles’ complete year-round kosher vacation experience features a full kosher kitchen, kosher restaurant, synagogue, rabbinical services and a kosher villa environment upon request. 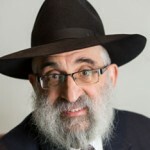 The kosher restaurant operation will be under the strict rabbinical orthodox supervision of OK Kosher’s Rabbi Don Yoel Levy and Rabbi Isreal Levin, following the Kashruth Jewish Dietary Law for Glatt kosher, Cholov Yisroel and Pas Yisroel food. A variety of Sephardic, Askenazi and international menu items will be offered. 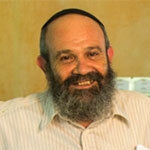 Israel Levin, Mashgaich Kashrut, has been appointed as Rabbi in residence at Lifestyle Holidays Vacation Resort in Puerto Plata, Dominican Republic, overseeing Lifestyle’s year-round Kosher Vacation Experience featuring a full kosher kitchen, a kosher restaurant with a buffet and an a la carte menu, orthodox synagogue, rabbinical services and a planned kosher villa environment. Israel Levin is a 2000 graduate of Tel Aviv University with an education in computer science and computer maintenance. He is fluent in Hebrew, English and Yiddish. His work experience includes a career as mashgiach for kosher restaurant kitchens in Miami and Hollywood, Florida, as well as bookkeeping, office management and sales positions for real estate, appliance and jewelry companies in Israel and the U.S.
Lifestyle Holidays has been honored with the distinction of receiving the prestigious OK Kosher Certification, one of the most respected global symbols of kosher approval in an era of soaring demand for kosher food.